There are many financial services qualifications available these days some specialized and some more holistic in the areas they cover. The Chartered Institute for Securities and Investment’s (CISI) QCF Level 7 Chartered Wealth Manager (CWM) Qualification fits into the latter category. In my opinion, it is one of the few awards that tests the full range of topics private client wealth and investment managers need to know and understand and is therefore highly relevant to the development of people working within our industry. It also meets RDR exam standards and is FCA compliant for a wide range of regulated activities including: advising on and dealing in securities and derivatives, advising on retail investment products and friendly society tax-exempt policies and managing investments. Is it straightforward to achieve? You should be under no illusions however, that straightforward means easy. Each of these exams has been designed to build an in-depth understanding of the industry with an expectation that students can apply their knowledge to a number of complex case scenarios. Whilst they do not have to be completed in order, it is generally sensible to do so as the syllabuses of the later papers build on the earlier ones. The scope of each exam is very wide but particularly so with Financial Markets. It is a tricky paper to get through and the pass rate which usually hovers between 40% and 50% has historically been lower than the other two papers. Few. What exemptions there are relate only to Financial Markets although as this is the paper that appears to cause the most angst, they are welcomed by many. “Exemption from the Financial Markets unit will be granted to ACCA holders and CFA Charterholders. Exemption from Financial Markets will be granted to holders of the CISI’s Investment Advice Diploma (IAD) where candidates have passed UK Regulation and Professional Integrity, Investment Risk and Taxation, one of Securities or Derivatives and level 5 Private Client Advice. This means that students who would normally complete the IAD with the first two of the above core papers plus a specialist paper from Securities or Derivatives can be exempt from Financial Markets if they then go on to complete the Level 5 Private Client Advice 3 hour written exam. In my opinion, this is one of the most attractive alternatives. The standard IAD route is common amongst entry level wealth and investment managers anyway so to then take the ostensibly less demanding Private Client Advice paper without any further requirements and gain an exemption from Financial Markets would seem a sensible alternative. Candidates who have passed the CISI Diploma Level 6 unit of Private Client Investment Advice and Management (PCIAM) and have completed the Core, Securities and Derivatives gap-fill training for RDR purposes, will be exempt from Financial Markets. This seems an attractive route to take especially if a candidate has already passed PCIAM and there are close links between this exam and the remaining two papers of the CWM Qualification. However, the gap fill! In terms of hours needed, a candidate would have to complete at least 5 hours for the core gap fill, one day for the Securities and two days for the Derivatives gap fill with a CISI recognized provider of gap fill training. So there is a time as well as monetary cost. Candidates who have completed the Securities pathway of the IAD (i.e. have passed UK Regulation & Professional Integrity, Investment Risk & Taxation and Securities) passed the PCIAM paper and completed Derivatives gap-fill, will be exempt from the Financial Markets unit. Many of the points made in 2 above, apply here in terms of extra time and costs. Candidates who have completed the Derivatives pathway of the IAD (i.e. have passed UK Regulation & Professional Integrity, Investment Risk & Taxation and Derivatives) and passed the PCIAM paper will be exempt from the Financial Markets unit. This route would appear the next most attractive to option 1 as an alternative to taking Financial Markets. 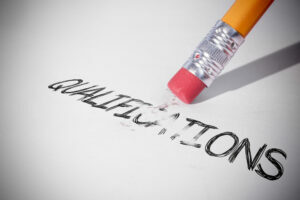 In summary, there are a number of routes to obtaining the prestigious CWM qualification. Candidates and firms should ensure that whatever alternative route they take, it is appropriate for the responsibilities and accountabilities to their role. Some firms may decide that the alternatives to the three core CWM papers are justifiable, others may decide that the main exams are there for a reason in terms of ensuring that investment advisers and managers have the necessary tools to carry out their roles in the most effective way. How much are QCF Level 4 investment exams really costing firms to support? “School of Excellence” – Best advice from high achieving students of the CISI Chartered Wealth Manager Qualification.